Social Media isn’t about blasting your company’s sales pitch on a social platform. 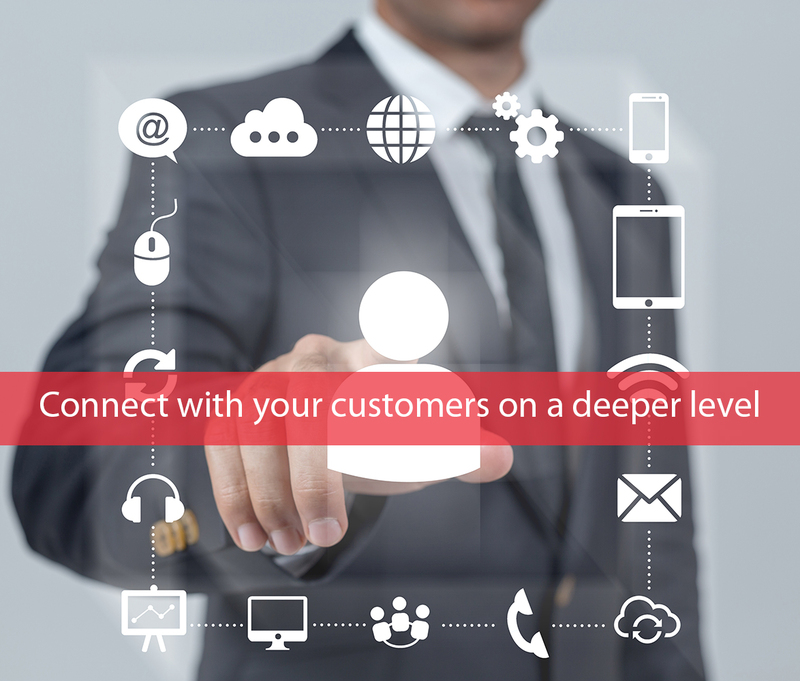 It is a two-way channel where you have the opportunity to build and enrich relationships with your customers and prospects. Social media platforms continue to grow and we spend more and more time on them. According to Media Kix the average daily time spent on YouTube is 40 minutes, Facebook 35 minutes, SnapChat 25 minutes, Instagram 15 minutes and Twitter 1 minute. Facebook and Instagram allow you to connect in a more personal way. Being active and real on these platforms helps to build out relationships with not only your clients as well as prospects. This is especially important when it comes to your Personal Lines demographic. What should you share on your social media? Twitter allows you to engage with your followers and with peope/companies that you follow. Nobody will choose an insurance agency because of Tweets, but once they see that your followers are commenting – they might be tempted to try! Create public conversations like an AMA or Ask Me Anything is a quick and fun method to engage with clients. Add #Hashtags to get your Tweet found easier on trending topics. Since you only have 140 characters, an image can help your post get seen! Don’t forget to link to your website or blog post. LinkedIn is all about building your B2B connections, it’s also a great way to build your company brand. LinkedIn Groups are an excellent resource to build a relationship with niche related business executives. Be sure to respect people’s time, post valid and useful information for businesses. Just like in real life, building strong relationships take effort. If you randomly post once a month, don’t expect to have a strong relationship with your followers. Keeping consistent with your posts helps strengthen your presence on social media and builds relationships. If you aren’t able to post on a consistent level on each of your social media accounts, choose 1 or 2 accounts to focus on. One way to make your postings more efficient and consistent is to plan, create, schedule and share the posts. Plan – choose a topic for each day of the week. Motivational Mondays, Insurance Tuesdays, Witty Wednesdays, Throw Back Thursdays, Fun Fridays. By choosing your daily topics, it is easier to create or find posts. Create– Free tools like canva.com and www.pixaby.com allow you to use copyright free images in conjunction with a software that gives you pre-formatted social media posts. Schedule– You can schedule your posts on social media. You can do it directly on the platform you are posting, or through a 3rd party software like buffer.com or www.hootsuite.com. Share other posts- You could promote a carrier’s blog post by sharing it, or share and comment on a post from a page that you follow. Try creating a social media team so that you can assign different days to a teammate to help. Remember to keep it fun and social! When creating your posts it’s important to keep your company branding. By including your logo, your web address and phone number. Consistency in your branding allows for your posts to always promote your business. I LOVE www.canva.com as it is an easy software to help with formatting. By using videos on social media you are able to tell an in-depth story that can go deeper than a 30 second T.V. commercial, this can also give you more likes and shares. Facebook and Instagram accounts now have easy ways to incorporate video into your account. Facebook Live is a live streaming video service. You can even stream live videos from your phone and then post the video to your Facebook page. Facebook Live is a fun and simple way for you to use the power of video to communicate your brand stories and build authentic relationships with fans and followers — in real time. Your videos can be up to 4 hours. Instagram Stories can be 3 to 60 seconds long. It’s a much shorter option, but it can also be posted after the event. Because your video isn’t live, you can edit the video. It is important to make sure your videos are the best they can be. Twitter Periscope– Post your live videos on Twitter with the use of Periscope. It is important to take the time to edit your videos. You can add images, pop up text and music to your videos to really make them stand out! Let your office personality shine through your posts. There is the old saying “Relationships are like campfires, they both require stoking.” Keep your relationships with your clients and prospects growing through active social media accounts. If your not able to fully commit to all social media platforms, then choose one or two and really focus on them. I am looking forward to seeing your social media posts!